Irwin Kishner was quoted in Bloomberg BNA regarding whether Delaware stock corporations should rescind fee-shifting provisions, which the Delaware Legislature largely invalidated in 2015, from their corporate bylaws. 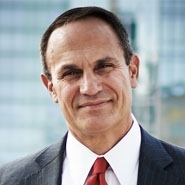 While the legislation doesn't mandate that stock corporations rescind their fee-shifting bylaws, Kishner said it makes sense from a “corporate housekeeping perspective.” He also noted that other jurisdictions haven't invalidated fee-shifting provisions, and Delaware has not banned them in non-stock corporations. According to Kishner, “Companies outside of Delaware that are going public should consider adopting fee-shifting clauses. They are very good provisions to have from a legal vantage point.” However, he warned that such bylaws may make an IPO less attractive to some institutional investors, and companies that are going public must weigh whether the clause may impact their offering price.